Do you shy away from taking off your socks and shoes when you are around other people or is the smell emanating from your feet unbearable for you too? Then, you might be suffering from bromodrosis or simply termed smelly feet or foot odor! Yes, it can be an embarrassing problem! This condition usually occurs when your feet sweat and the sweat does not evaporate because you are wearing shoes or socks. Bacteria naturally present on your skin grow as they feed on the sweat and dead skin cells, producing the foul smell. Anyone can develop smelly feet any time of the year, not just in hot humid summers. However, it is more common in pregnant women and teens due to hormonal changes that make them sweat more. A person who is on his feet the whole day or too stressed is likely to sweat more. Certain shoes and socks increase the volume of sweat produced, so the feet remain damp when you wear socks and shoes for a long time. These moist and dark conditions are just perfect for the bacteria to grow. These bacteria (depending upon the species) produce isovaleric acid from a substance leucine present in the sweat. It is isovaleric acid that gives the ‘smelly feet’ odor. The ‘smell’ can be really bad depending upon the species of bacteria and chemical substances produced. If you suffer from a medical condition known as hyperhidrosis, you may sweat abnormally. Lack of proper hygiene also can result in smelly feet. People who don’t wash their feet frequently or change their socks during the day create the perfect environment for the bacteria to grow. Many natural cures are worth trying to get rid of annoying foot odor. You’ll need to follow them religiously for a certain period of time to get good results. Most are able to resolve the problem within a week or so. If you don’t have talcum powder, you can use a good quality antiperspirant on your feet to keep them dry for a longer period of time. 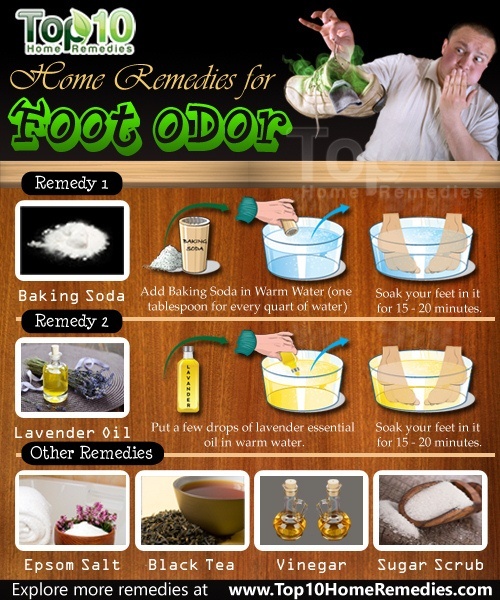 There are many other easy and simple home treatments for foot odor. 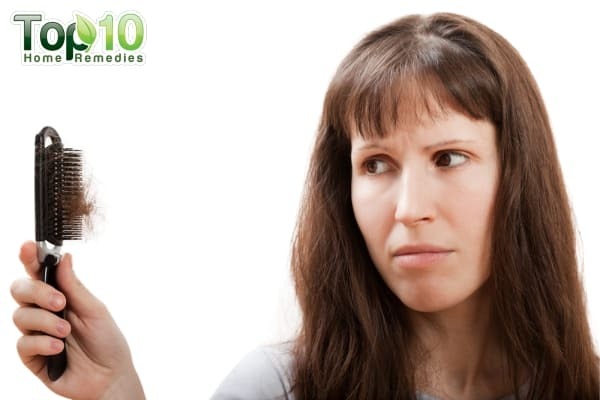 Here are the top 10 home remedies for foot odor. Sodium bicarbonate, commonly known as baking soda, is an effective remedy to eliminate foot odor. It neutralizes the pH of sweat and reduces bacteria. Add baking soda in warm water (one tablespoon for every quart of water) and soak your feet in it for 15 to 20 minutes every night for one week. You can also sprinkle baking soda in both your shoes and socks before wearing them. Lavender oil not only smells good but also helps kill bacteria. Plus, it has antioxidant and antifungal properties that are effective in treating foot odor. Put a few drops of lavender essential oil in warm water. Epsom salt is magnesium sulfate that has a lot of applications ranging from gardening, household, beauty to medicinal purposes. Epsom salt can also minimize the smell coming from your feet as it fights microbial infection and neutralizes foot odor. A detoxifying foot bath with Epsom salt is also soothing for aching feet. Mix two tablespoons of Epsom salt in a small foot tub filled with warm water. Soak your feet in the solution for 10 to 15 minutes. For best results, do this before going to sleep so that you do not have to wear socks or shoes for a few hours. Black tea has tannic acid that helps kill the bacteria that produce foot odor. It also helps close pores on your feet, thereby reducing the amount of sweat on which the bacteria feed. It is recommended as one of the most effective home remedies by doctors. Boil two black tea bags in three cups of hot water. Add some more water to lower the temperature of the solution. Do this daily for about a week. Vinegar is beneficial in getting rid of smelly feet as it creates an acidic environment in which bacteria cannot survive. You can use any type of vinegar, especially apple cider vinegar for this home remedy. Prepare a mixture of one-half cup of vinegar and 4 pints (8 cups) of hot water. Soak your feet in it for 10 to 15 minutes. Finally, wash your feet thoroughly with soap to remove the vinegar smell. Cedarwood oil is thought to be one of the first essential oils to be extracted from nature. In addition to its use in aromatherapy, it has antibacterial, antifungal and antiseptic properties to name a few. All these make it a good remedy for combating foot odor. You can use cedarwood oil effectively with coconut oil that has amazing health benefits. Coconut oil has lauric acid that kills bacteria. Plus, it has skin rejuvenating properties. 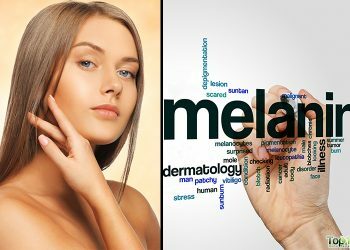 It is even used as a base ingredient in many beauty products because its effect lasts longer on the skin than many other oils. Mix 5 drops of good quality cedarwood oil to 1 tablespoon of virgin coconut oil. Gently rub it on your feet and massage. Allow it to be absorbed for some minutes before walking or wearing socks. Be careful not to slip on the floor. Do this once daily for one week. Boric acid is another effective remedy that kills odor-causing bacteria, thereby eliminating foot odor. Dust a little boric acid powder on your sweaty feet for a few days to get rid of foot odor. You can also mix one-half cup each of boric acid and white vinegar in two cups of water. Spray the inside of your shoes with it. Sugar has several other uses other than as a sweetener. Sugar aids in removing dead cells. Removing dead skin and calluses will also help eliminate foot odor as they too can contribute to smelly feet. Regular use helps clean your feet and also prevent the formation of calluses. You can make a powerful homemade scrub by following these directions. 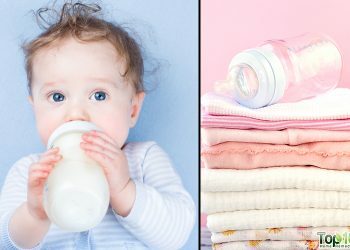 Mix three parts sugar, one part clean water and five parts isopropyl alcohol (91 percent or above) to create a thick mixture. Scrub your feet with the mixture for five to 10 minutes to remove dead skin cells and bacteria and then wash your feet. Do this at least three times a week. 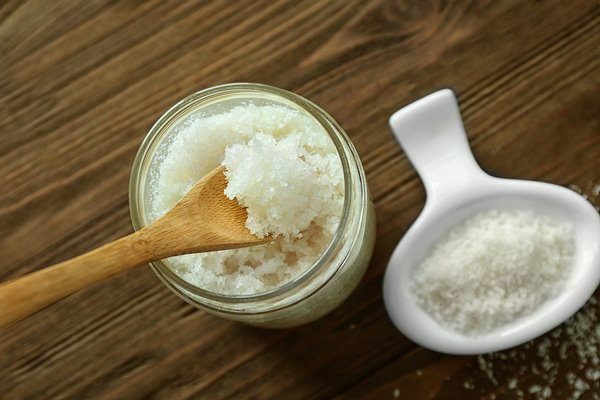 Note: For better results, soak your feet in warm water before using this sugar scrub recipe. Another popular way to reduce the problem of stinky feet is to use talcum powder or baby powder on your feet. Being astringent in nature, these powders help absorb and dry out your sweat. Just sprinkle talcum powder or even baby powder generously on your feet. Do this two or three times a day for a few days to combat foot odor. You can also sprinkle it in your shoes. Ginger is also an effective solution to smelly feet as it inhibits bacterial growth and also removes toxins. 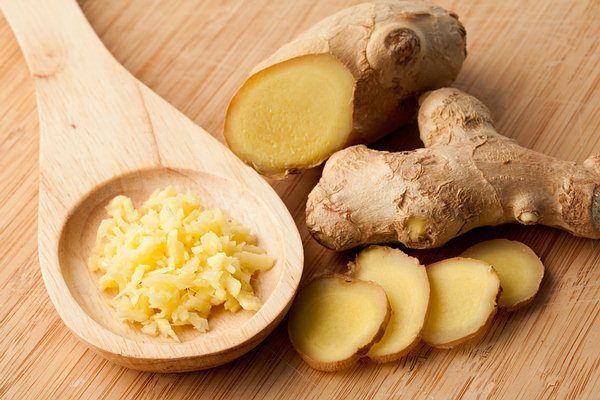 Make a puree out of a medium-sized ginger root. Steep the puree in a cup of hot water for 10 to 15 minutes. Strain the solution and apply on your feet gently each night before going to bed. Repeat the process daily for two weeks to get positive results. Home remedies suggested above are unlikely to eliminate the problem of smelly feet if you continue to wear dirty or damp socks and shoes. In such cases, they may only provide temporary relief to reduce foot odor at the time of use. Try different ones until you find a remedy that really works for you. If you still do not get relief, consult a doctor. Proper hygiene and foot care can help reduce your smelly feet problem. Wash your feet daily using a mild soap (you can use an antiseptic soap) and scrubbing brush to remove dirt and dead cells. Take care to dry your feet completely especially the area in-between the toes. Check the feet of your soles for hard, dead skin and remove it with a foot file. It would be good to soak your feet in warm salt water for 10 minutes before doing this or while bathing, so that your feet are soft for filing. Hard, dead skin upon becoming soggy acts as a medium to harbor microorganisms. Change your socks regularly. Always wear fresh, clean socks. Have an extra pair of footwear that you can change alternately so that your shoes get time to dry completely before you wear it next. It is preferable to wear shoes and sandals that are breathable, made of leather, canvas or mesh than plastic or synthetic material. Wear perfectly fitting comfortable shoes that are appropriate for the weather conditions. Use medicated insoles that have deodorizing action inside your shoes. If the above measures don’t help in controlling the problem, if you suffer from hyperhidrosis or it affects your quality of life please consult a doctor. If the above remedies do not help, there may be an underlying problem that needs to be further checked by your doctor. If there is a wound or cut, redness or swelling. If you are diabetic and have foot odor, check with a doctor as there may be complications. Washing and drying your feet very accurate is very important. Moreover the use of cedar wood is probably one of the best things to get rid of foot odor. The cedar wood fights the bad smelling food bacteria and give off a very good smelling flavor. So there are several insoles made from cedar wood (cedarsoles) available. Maybe try this. I tried the cedar soles and just wanted to let you and everybody here know that they really help me a lot! It’s been one week now and i have already placed a second order to get a pair for each pair of shoes I have 😉 I don’t leave the house without them anymore. So thanks a lot for that great suggestion! using cinnamon on a toothache has helped a lot. I found out that you can get rid of the odor for good if you apply cider exclusively. If you have smelly sneakers place them in the freezer overnight. This will usually kill most of the bacteria. Do this once a week for the life of the pair. I too are trying this . ina bag in the work freezer. Also baking soda foot bathing this week. will post again end of the week.? i’m gonna try a number of them.my feet smell a lot i even become ashamed to take off my shoes whenever i’m around people. like trash. Later i came to realize the problem was the lotion after changing to petroleum gel. Now am fine and no stinking any more. BEST REMIDY EVER!!! For real!! I am a 14 year old that has just started to notice a light foot odor. I know where the problem started however, because of my socks. I need new socks because I am growing, so I have went out to buy new ones. I still smell an odor coming from my feet, so i will try the lavender and baking soda technique. I will only be trying these two because I already have these ingredients at home. I will post on this page again at the end of the week, today is Monday for me. I will also be massaging my feet with a few drops of lavender before going to sleep. I will also be putting socks on after I have massaged my feet. I was reading all these post and it is sad that you a 14 now 15 year old has better English and writing than the adults who posted. Keep up the good work. I found that if you rub canned cat food all over your feet then wrap your feet in plastic wrap, before going to sleep, the odor is completely gone the next day. The protiens in the gravy are easily absorbed into your skin, and quickly kill the bacteria. The only drawback is that I walk to work everyday, and by the time I get there, every cat in the neighborhood is following closely behind me. Good luck! It is Sunday, I forgot to post this yesterday, but I am here now. I have no problem with foot odors anymore and I have done everything I said I would everyday. The most effective solution was the lavender-water one, and of course the lavender massage helped too. You people should try it out if you no longer want any odor. I noticed I’ll have foot odor everytime I wear pantyhose, or thin stockings.. but not with socks.. I still can’t find the answer why would this happen. Even if I changed into a new pair of pantyhose! So I’ve come to a conclusion that it’s just my feet that stinks. I even tried putting tea bags (dry, unused) in my shoes, overnight but it only works for a short time (odorless for 2 days max). I have got to try these remedies though. Great share guys! 1 little bottle of tea tree oil mixed with water in a spray bottle (empty fabreeze or something) sprayed on feet and in shoes before going out has helped my problem a lot. 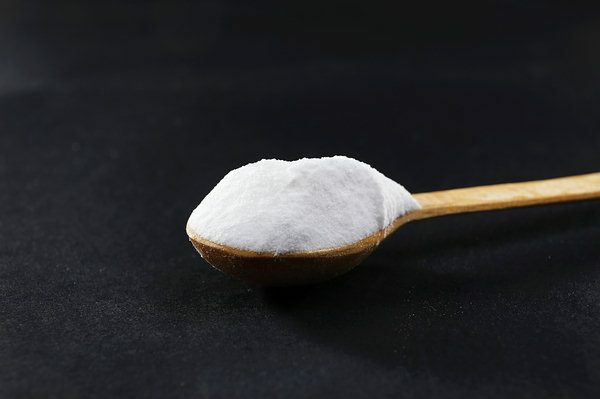 Baking soda is an excellent absorbent that helps get rid of the moisture caused by sweating. It also neutralizes the pH levels of sweat generated in the feet, destroys the bacteria, and prevents them from multiplying as well as thriving in the feet. Talcum powder is probably one of the easiest and most effective home remedies for smelly feet. 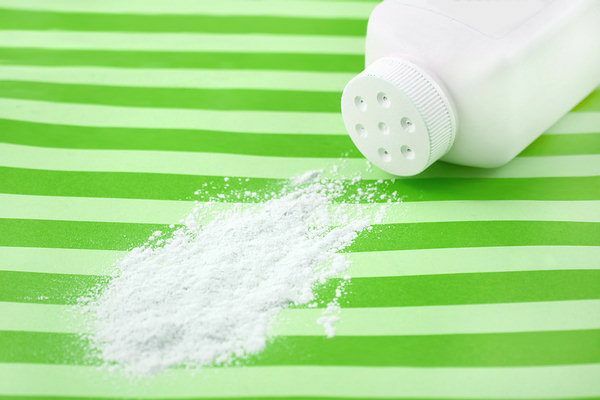 Almost every household will have either talcum powder or baby powder, both of which are effective in controlling the bad odor emanating from feet. Hmmm feels better even to find out people suffer the same issue like mine and thanks for the simple & natural remedies to apply. 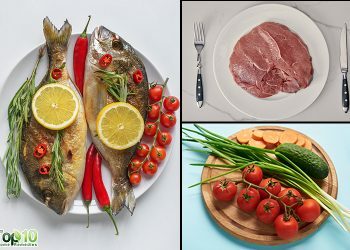 Well the list is kind of complete 🙂 The nutrition is also a really important point: your diet has influence in how much you sweat and how the sweat smells! Anyway, I have a natural all – in – one solution for you: use cedar soles in the shoes and you won’t sweat anymore, even if you wear your shoes without socks 🙂 My friend works for a company in Germany who sells them and she gave me a pair! I doubted a lot, but finally, the best anti-foot-smell-and-sweat stuff I ‘ve ever tried 🙂 Just wanted to share this experience here, maybe it helps somebody! You can try to put cedar wood insoles in your shoes, they do normally great work against excessive sweating of the feet and also help to get rid of foot odor. All of these are very helpful gonna try the lavender and the cider, don’t think I will go as far as the horse urine though but I have heard urine is supposed to be good for your feet for some reason or another. I’ve been suffering from bad odor since I started working at a job that requires the non slip restaurant shoes. So gotta do something my kids scatter Everytime I go to take my shoes off.